Arsenal now unveil the clubs brand new away shirt and they are back in yellow, which is a colour that brings back memories of the clubs history, which has been full of success, if not glory. 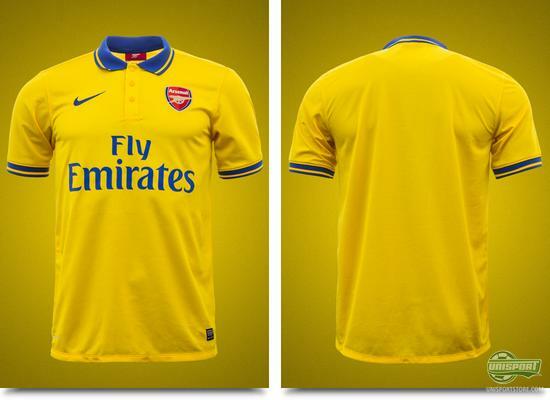 You can see the London clubs new elegant away shirt right here. There are rumours going round The Emirates, saying that Arsenal might finally be willing to spend big this season. The new away shirt however reminds us and the fans about the classic ideals, which they stand by in their pursuit of glory. 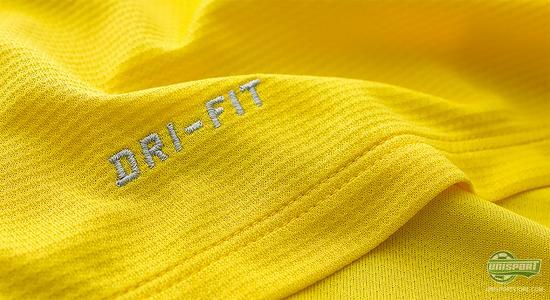 It is once again the yellow colours, which they will wear in the coming season and if you look back through the many shirts Arsenal have worn in recent history, you quickly realise yellow is a popular colour in North London. The colour was a constant feature throughout the '70s and was first introduced in the 1950 FA Cup Final and since then it has popped up regularly. 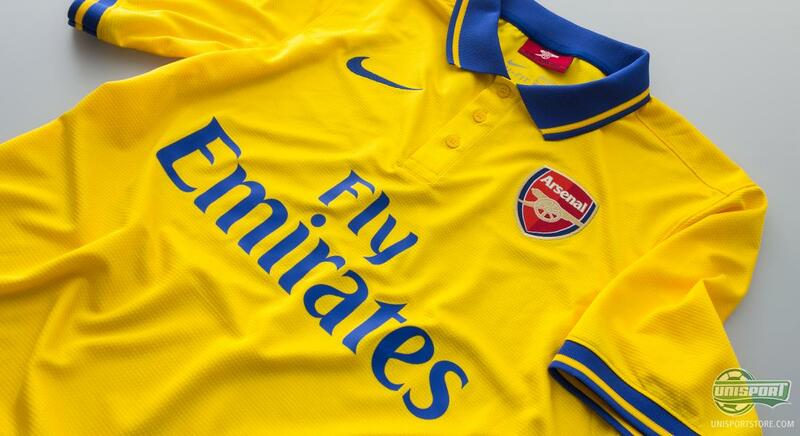 The yellow colours are therefore very Arsenal and the new shirt confidently takes over from its predecessors. 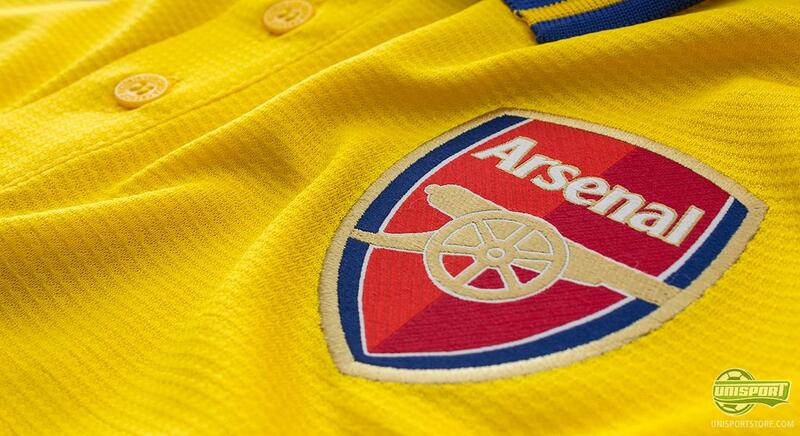 Will you be showing off your Arsenal pride in the classic yellow colours? You can already order it now, with an expected delivery date in the end of July  prices start at just 58. And with the new shirt, Nike and Arsenal have done their best, to please the loyal and exceedingly patient Gunners. 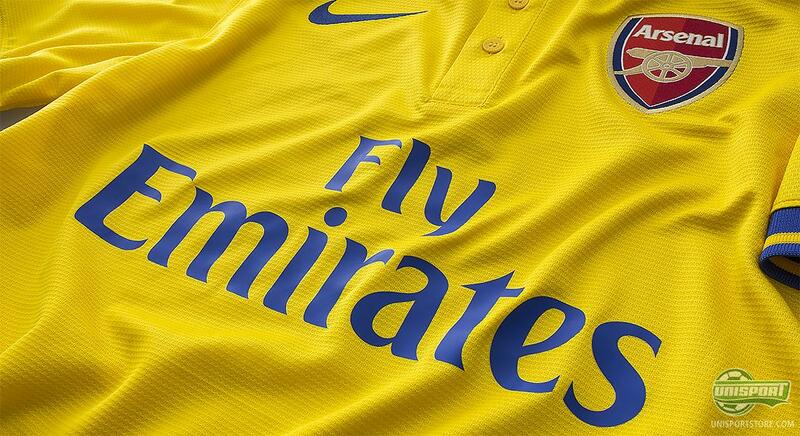 Just like what we have seen on countless of the previous yellow Arsenal shirts, the complementing colour is blue. 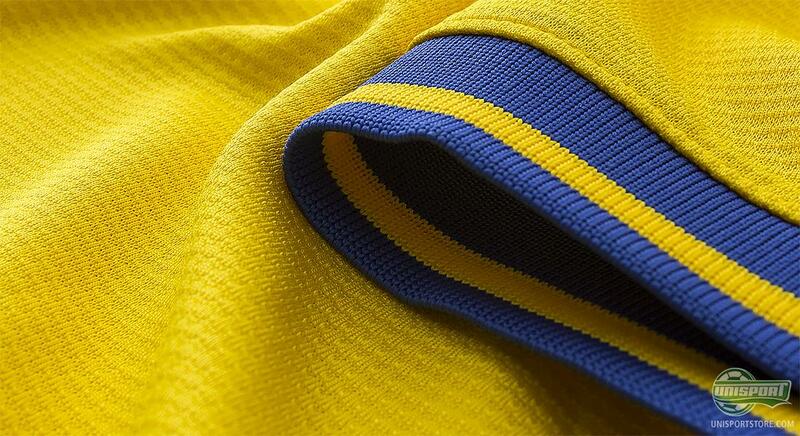 The blue dons both the sleeves and classic collar, which we also know and love from previous shirts. 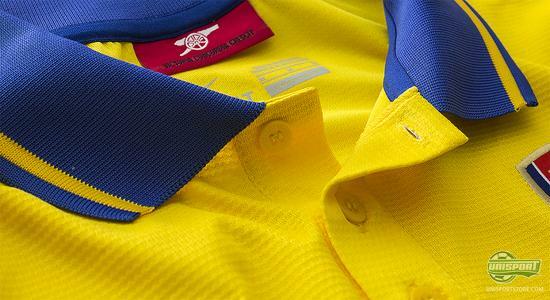 The shirt will be worn, when Arsenal travel away from home, to try and end their trophy drought, which to Gunners must seem eternal. They have failed to clinch an honour since they beat Manchester United in the FA-cup final in 2005. This is a little contradictory to the clubs slogan, which describes how to win trophies. 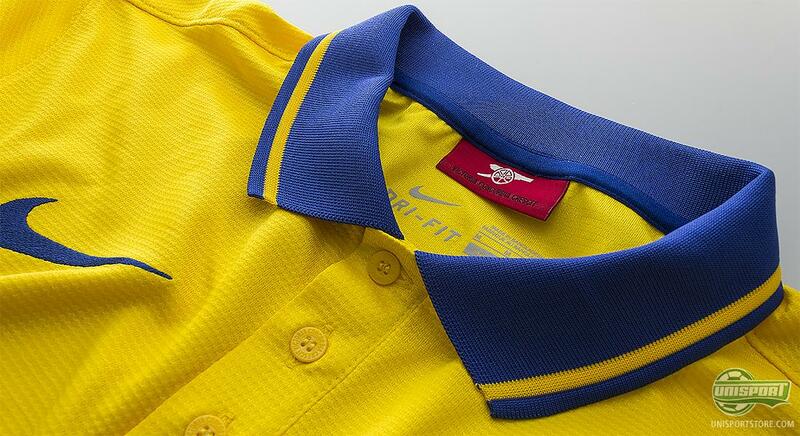 The collar reads Victoria Concordia Credit, which means, victory through harmony. The shirt is definitely in complete harmony with itself. It has a simple design and will elegantly complement the equally elegant play of arsenal stars like Walcott, Wilshere and Carzola, who will fight to break the long drought at the Emirates. The shirt is made from Nike's smart and innovative DriFit-material, which is made to transport sweat and moisture away from the body and keep you dry and comfortable. This is so you are not held back and can go at full throttle all game, every game. Even though we have established that this is a shirt, which is made to be a classic, there has still been made room for a number of modern additions, when producing the shirt. Nike have in connection with this, been very wary of the effect the production can have on the environment. 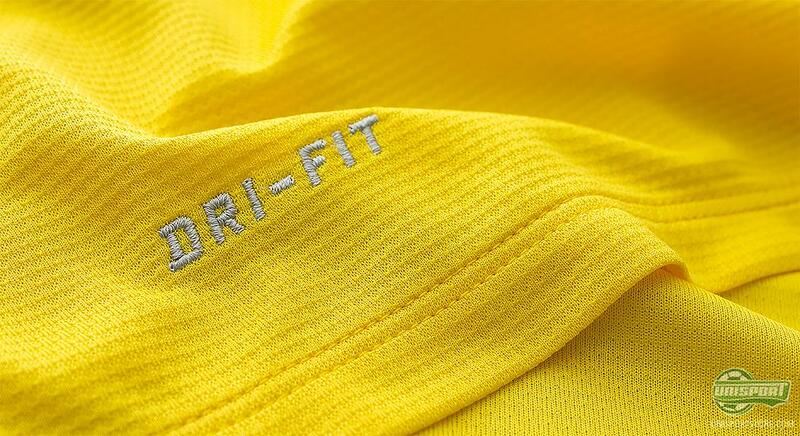 The shirt is made from recycled polyester, like we have seen it before. Each shirt is made with what is the equivalent of 13 recycled bottles. With the new away shirt Arsenal have delivered a shirt, which is both sharp and elegant, just like the clubs history. What do you say to the new shirt? Do you think Arsenal can finally win a trophy? We would love to hear your thoughts, here and on Facebook and Twitter.